I’m proud to be a part of the lessons program at Guitars, Etc., Longmont’s oldest (and best) music store. Guitars, Etc. offers private lessons on piano, guitar, bass, drums, and vocals as well as all brass, woodwinds, and orchestral strings. Currently, over 450 students a week study with the store’s 23 teachers. As part of our private lessons program, students have a chance to showcase what they’ve learned on stage in the store’s 100 seat venue located on the lower level. Touring artists perform in this same venue, including acts as diverse as Lacuna Coil, Lita Ford, Muriel Anderson, and Pat Bianchi. At Guitars, etc.’s Rock Camp, “campers” get the hands-on experience needed to play in a band. In each of the week-long sessions, campers form a band and learn several songs together. After five days of Rock Camp Learning Sessions, campers participate in a photo shoot and perform their “Big Rock Show” in a 100 seat venue. Rock Camp offers a great chance to become part of a team and learn how to use gear, play through a professional sound system under real stage lighting, and learn valuable performance techniques and tips from professional musicians. Each January, Guitars, Etc. holds month-long classes for beginning bass, drums, guitar, and ukulele. These classes, which are free with the purchase of an instrument, give students a fun head start on a lifetime of playing music. Don’t Wait… Call to set up your lessons today! You could be playing sooner than you think. Lessons with Vic Dillahay at Guitars, Etc. 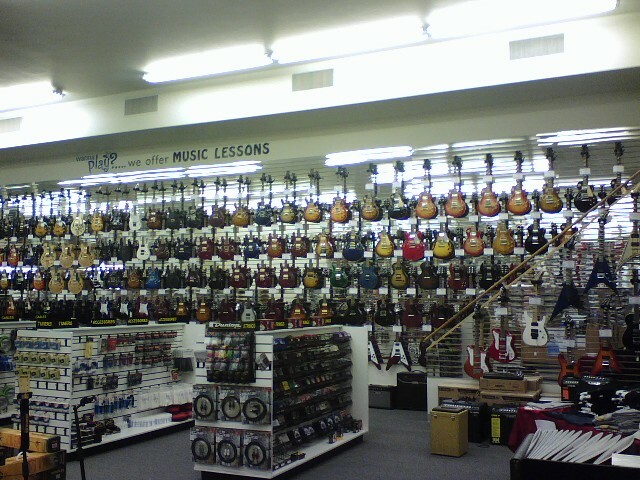 All lessons at Guitars, Etc. are weekly, with a month long commitment. Guitars, Etc. does not offer bi-weekly or single lessons. Your lesson is on the same day and time each week. There are a few scheduled weeks off per year. For those weeks, you will receive either a credit for a video lesson from GuitarsEtc.com or a personalized lesson sent directly to you. Please arrive before your scheduled time to tune up and prepare for your lesson. Please be aware that lessons run back to back. Your punctuality is greatly appreciated. If you are going to miss a lesson, please email vic@vicdillahay.com or text me at 970.682.4842. You will receive a video lesson to help keep you playing. Lessons are $150 per month for half-hour lessons and $300 per month for full hours. Lessons are paid for on the last lesson of each month, for the upcoming month, in advance. There is a $15 fee for payments received after the 1st. Please make all checks payable directly to Vic Dillahay. Please do not make checks out to Guitars Etc. There are no refunds for lessons.